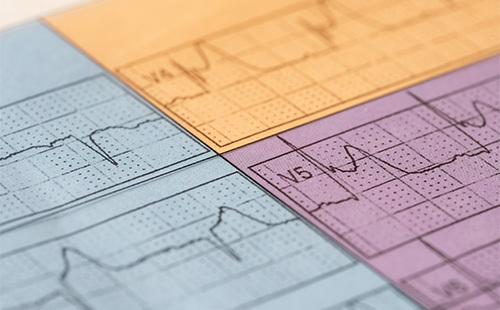 The aim of this one day workshop is to develop the ability to accurately interpret 12-lead ECGs for effective recognition and treatment of patients experiencing acute coronary syndromes (ACS). This interactive programme introduces simple strategies for the interpretation of 12-lead ECGs, along with identification of STEMI impostors and opportunities to discuss real cases with real ECGs. 12-lead ECG interpretation using a simple 5-step analysis system. The interactive programme provides students with a systematic approach to assessing the 12-lead ECG enabling them to not only confidently identify a STEMI, but manage potential complications arising from different infarct patterns. Candidates will receive a take-home manual and pocket reference cards. Also included: welcome coffee; morning tea; buffet lunch; afternoon tea; and free parking. Attendees will receive a certificate documenting content and contact hours for professional portfolio evidence. Lecture 1Why learn to interpret? Edoceo Group is a specialist training organisation, designed to deliver the best education for yourself or your organisation. Our team comprises of a hand-picked group of highly skilled and motivated professionals from a range of backgrounds including pre-hospital care, nursing and the media. All have extensive experience in their specialised fields and remain current in their practice. Spacer preparation: Wash or prime?